My sister, Lori, had her baby a week ago and we were able to go down and see it! At 8 lbs. 14 oz. baby Jenny gave her mom a work out just getting here so she had to be monitored a bit when she arrived. However, she is perfectly healthy and adorably cute. 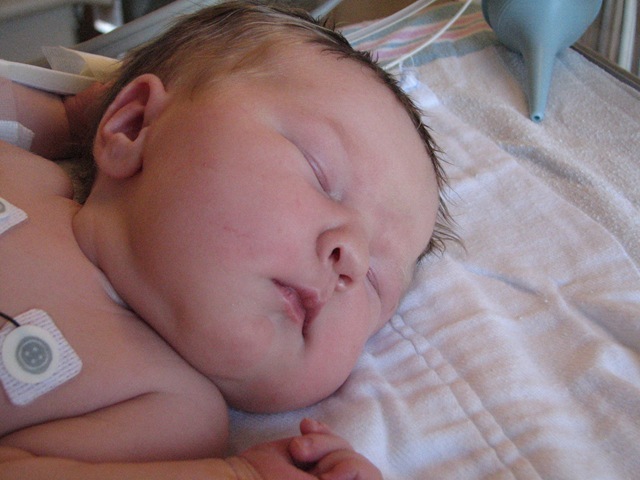 My first glimpse of Jenny in the NICU – big chubby cheeks! She totally looks like her daddy. Finally able to stretch out! 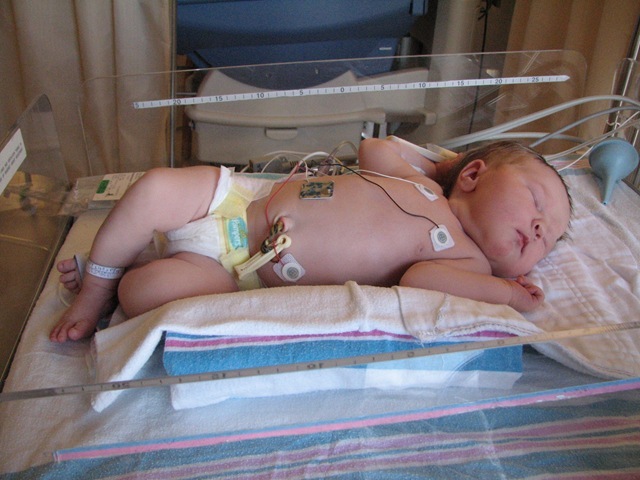 Jenny was so big she started out in size 1 diapers instead of newborn. I brought the kids to visit once Jenny made it home. Here I am wishing my baby would hurry up and arrive! Lance was very sweet and couldn’t get enough of holding Jenny. Even if she was crying he remained calm and dutiful and didn’t want to give her up. 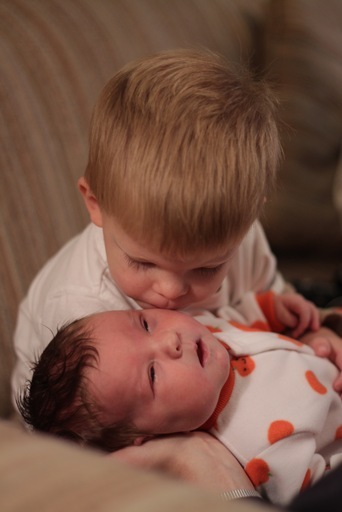 He’s going to be such a good big brother to our new one. 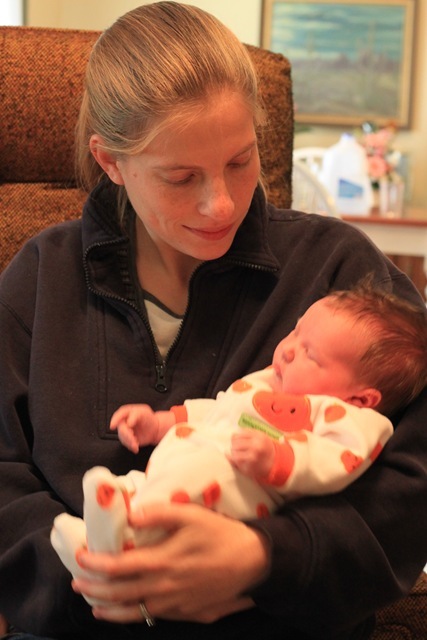 Ivy wasn’t as sure about the baby but did enjoy looking at her and trying out the pacifier – both on Jenny and herself. 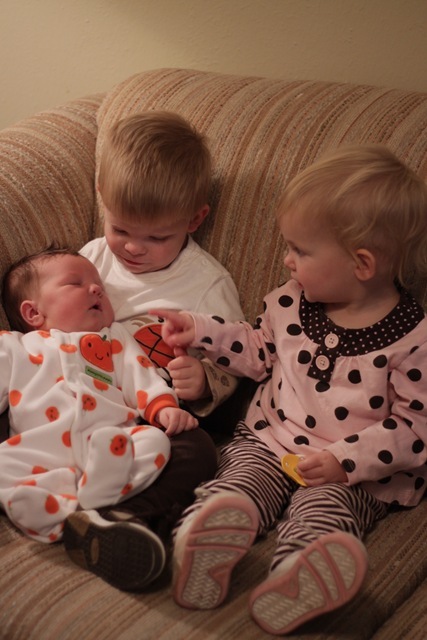 We are so glad for a new cousin!